Rob Watts considers who might take a risk on move on from their current team at the end of next season. 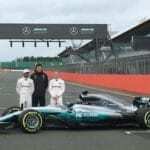 Badger’s Sarah Merritt attended the launch of the Mercedes 2017 offering, the W08, at a very windy Silverstone circuit today, where the assembled media and team partners were treated to the sight and sound of the new car as it completed filming laps, as well as a launch on the iconic pit straight. 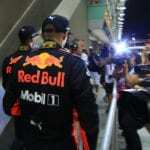 Lewis' words, not ours - he was not a happy man following his Monaco weekend where he's facing another penalty after yet another visit to the stewards office.